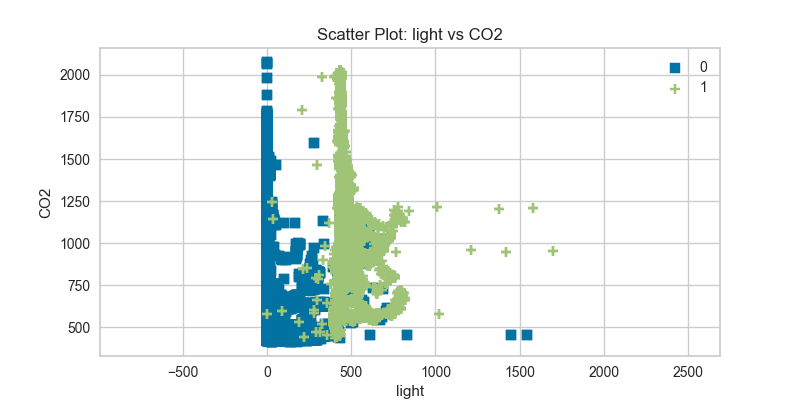 A scatter visualizer simply plots two features against each other and colors the points according to the target. This can be useful in assessing the relationship of pairs of features to an individual target. Implements a 2D scatter plot for feature analysis. ScatterVisualizer is a bivariate feature data visualization algorithm that plots using the Cartesian coordinates of each point. List of two features that correspond to the columns in the array. The order of the two features correspond to X and Y axes on the graph. More than two feature names or columns will raise an error. If a DataFrame is passed to fit and features is None, feature names are selected that are the columns of the DataFrame. Use either color to colorize the points on a per class basis or colormap to color them on a continuous scale. The fit method is the primary drawing input for the parallel coords visualization since it has both the X and y data required for the viz and the transform method does not.